The news flow from the reinsurance convergence market continues to increase, with 21 new articles on Artemis in the last week. As always, you can read every market news story and article here on the Artemis news blog, subscribe to our weekly email newsletter updates and for your convenience here are the ten most popular news articles from the last seven days on Artemis. The third named storm of the 2013 Atlantic Hurricane Season formed last week and threatened the Caribbean and the U.S. southeast. However, tropical storm Chantal didn’t make it to hurricane status and in the end blew herself out in the Caribbean. The main damage from Chantal was flooding and some wind damage to islands in the storm’s path, but Chantal will not be a major insurance loss. The largest U.S. based privately owned reinsurance brokerage, Holborn Corporation, has taken a stake in an investment banking firm which specialises in advising the insurance and reinsurance sectors. Details have emerged about the assets under management at two reinsurance and insurance-linked securities (ILS) funds managed by New York based investment firm Stone Ridge Asset Management. At the recent July 1st renewals, reinsurance market pricing continued to be influenced by the influx of third-party reinsurance capital which has poured into the market from institutional and capital market investors, said Guy Carpenter in a recent report. The U.S. Securities and Exchange Commission (SEC) enacted a rule as part of the Jumpstart Our Business Startups Act, or JOBS Act, which lifts the ban on general solicitation and marketing for investment funds and Rule 144A securities offerings. The change means that these once private offerings can now be more broadly marketed. Swiss based insurance-linked securities (ILS) and reinsurance-linked investment manager LGT Insurance-Linked Strategies has added another $400m of assets by winning ILS investment mandates from three major European pension funds. The reinsurance market is changing and reinsurers are entering a period of transition from managing their own capital to managing ‘other people’s money’. 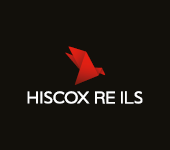 Hiscox Re, the reinsurance division of Bermuda headquartered insurance and reinsurance group Hiscox, has announced a number of key appointments as it continues its efforts to consolidate and grow the reinsurance side of its business. One of those key appointments is a new role of Director of Insurance Linked Securities (ILS). Private equity firm Stone Point Capital LLC has shown its continuing appetite for investing in firms linked to the reinsurance market by supporting a number of purchases made by Enstar Group, the Bermuda based insurance, reinsurance and run-off specialist.